There are few constants in life that we can bank on, but there is one: Christmas is expensive. Sometimes it can feel like there's no escaping the expense of Christmas and astronomical credit card debt in the New Year. Luckily, this is a myth that's easily dismantled. We're going to take a look at one way to lower the expense of Christmas: Shorter Christmas lists. Here are five ways to shorten your Christmas shopping list. - Agree with them that as long as you can enjoy their company, gifts aren't necessary. Get them to agree that there is no need for you to give each other anything. You'd be surprised how many people are delighted by the suggestion. Remember, it lowers their Christmas expenses, too. - Are you still giving a gift to your boss? What about your child's teacher or your neighbors? When it comes to people you don't spend too much time with, consider giving them a card this year, instead of a gift. The sentiment is still there, but the expense is not! Besides, giving cards happens less and less these days, so it's a gesture that might mean a little bit more. 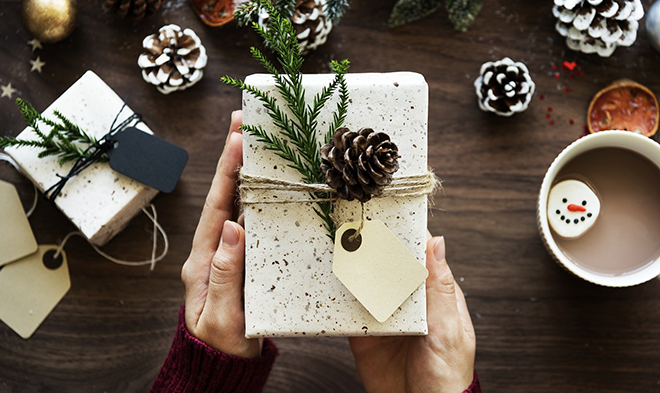 - Making gifts yourself doesn't always sound appealing, but with the wealth of resources and how-to guides on the internet, you can make some pretty amazing things for the people you care about. In some ways, making something with your own hands is an even more thoughtful gift than buying something. It takes a lot more thought, planning and time and can mean a lot more. - Instead of exchanging gifts with your friends and family, ask that you each donate some food to the food bank, or donate some time to a soup kitchen. Donating is a truly fantastic alternative to giving each other gifts. It makes you feel good, you save money, and you get to give back to the community all in one go. - Strike all the adult names off your Christmas list in one action by asking them all to agree with kids only gift giving. Let's face it; kids get the most enjoyment out of Christmas gift giving, so why not focus on them and save your money at the same time?